Stratford, Ontario is a small Canadian city steeped in history, the arts, and celebrated for its pleasant lifestyle. Situated along the Avon River, the city was named for the birthplace of English playwright William Shakespeare. Every year the city hosts the Stratford Festival, a celebration of theatre featuring the works of Shakespeare and others, drawing large crowds of playgoers to the otherwise tranquil city. Stratford’s downtown exudes a 19thcentury charm, preserved through many examples of high Victorian architecture, and highlighted by the Stratford City Hall, a Canadian National Historical Site. For its dedication to the arts, its relaxing setting and its pleasant people, the City of Stratford is often named one of the best places to live in Canada and the world. 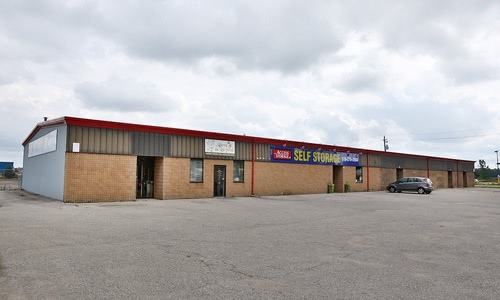 If you are looking for self-storage in Stratford, we have your back! 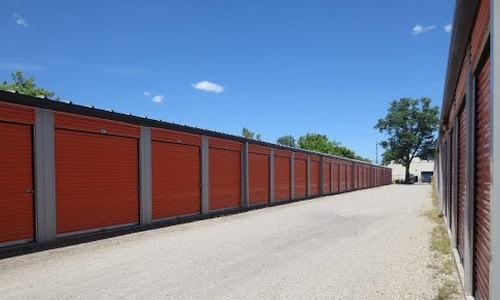 We are proud to provide Stratford and the surrounding area with a range of self-storage options for businesses and residential customers alike. 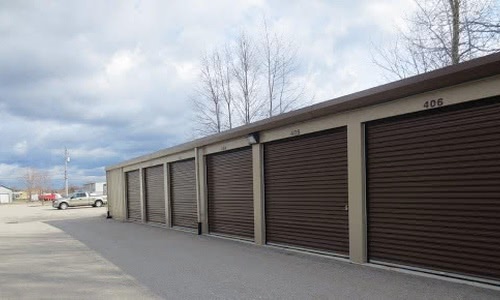 So whether you are looking to organize your space, make a move, or simply store your belongings in a safe a secure location, we have a self-storage option to suit your needs. At our Access Storage locations in Straftord you'll find clean, well-lit facilities maintained by moving and storage experts committed to making you feel right at home. Give us a call and let us help you find the right size storage unit at the right price, at a location that's convenient for you! Our Stratford storage facilities are conveniently located near major access points across the city, with easy access to highways 7 and 8. In the South, we are proud to maintain two facilities near Lorne Avenue and Dufferin Park. To the North, our Frederick Street location lies just off of Romeo Street, making it ideal for clients looking for straightforward access to highway 8. Whether you're dropping off or picking up, our Stratford locations are easy to access and promise a truly convenient self storage experience. Whichever Stratford store you choose, you'll enjoy heated storage units in climate controlled facilities, helpful staff, 24-hour security, and a range of sizing and special pricing offers to meet your needs. Access Storage - Stratford North - 135 Frederick St.